That means the home can be net zero energy on an annual basis with the installation of a reasonably-sized 4.1 kW solar electric system, according to ZED. And if you’re interested in the detail, all the geeky performance data is listed here. Meanwhile, I want to share some takeaways or insights from the project team at ZED pertaining to the retreat. First, it’s important to focus on the envelope first. ZED treated the envelope as the primary “heating system” with special attention to orientation, insulation, windows, and air sealing. 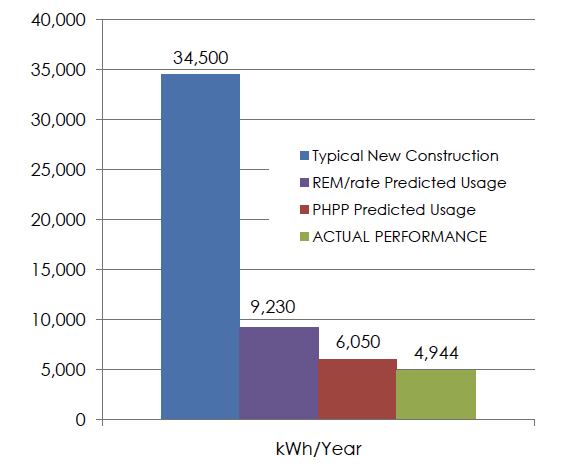 Horowitz said: “You may have heard this before, but just in case you haven’t, prioritizing the building envelope first, then mechanical systems, and finally renewable energy systems is optimal.” That way you decrease the size of systems and, in turn, the renewable energy needed to power those systems. Second, indoor comfort is under-appreciated. Most people are accustomed to drafty or cold housing, but an ultra-efficient home like the Passive House Retreat has even temperatures throughout. “Once you try it, you won’t go back,” said Horowitz. 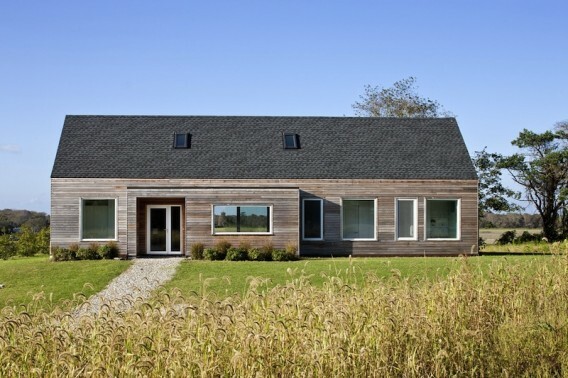 Third, Passive Houses can be beautiful. Early architecture yielded to experimentation or overall testing of the requirements for airtightness or energy use. Now, windows and products and software are better, and Passive Houses can have both “exceptional performance and aesthetics,” according to ZeroEnergy Design, just like this retreat. Fourth, values other than financial payback drive energy choices. When building a home, not every decision is driven by financial payback. Homeowners have many influences — including aesthetic preference, product availability, cultural background, personal values, etc. When choosing paints, for example, financial payback may take a backseat to color, odor, quality, brand, or impact on air quality, or something else. The same can be said for energy choices. An ultra-efficient home can be an expression of a non-financial value such as the desire to avoid using fossil fuels, consume less overall energy, or emit less CO2, according to Horowitz and Goldman. Similarly, the decision to use renewable energy could be driven not by payback but by a desire to advance the use of renewable energy. 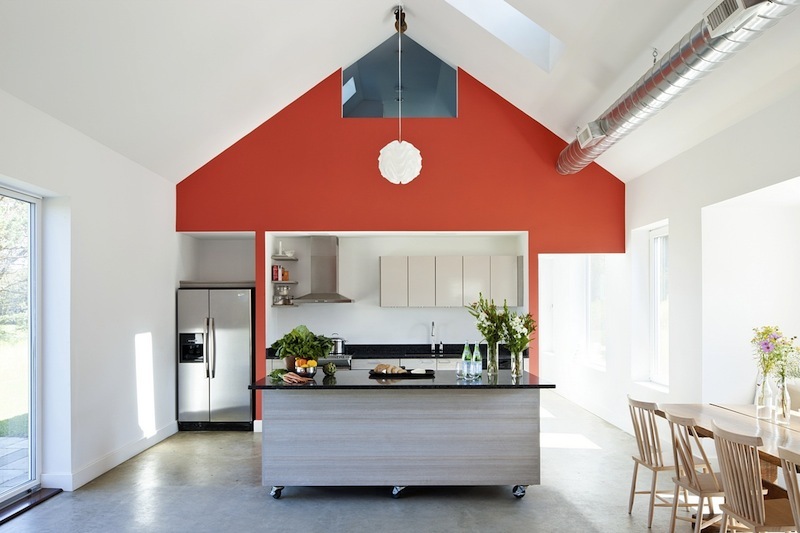 Passive House Retreat obtained LEED Gold certification and the systems include a Mitsubishi ducted air-source heat pump (HSPF 10, SEER 15.5), Zehnder Comfoair HRV, and a GE GeoSpring heat pump water heater. The build includes a double-stud wall assembly with spray foam and cellulose achieving R44 walls, a R50 slab, and a R60 roof. 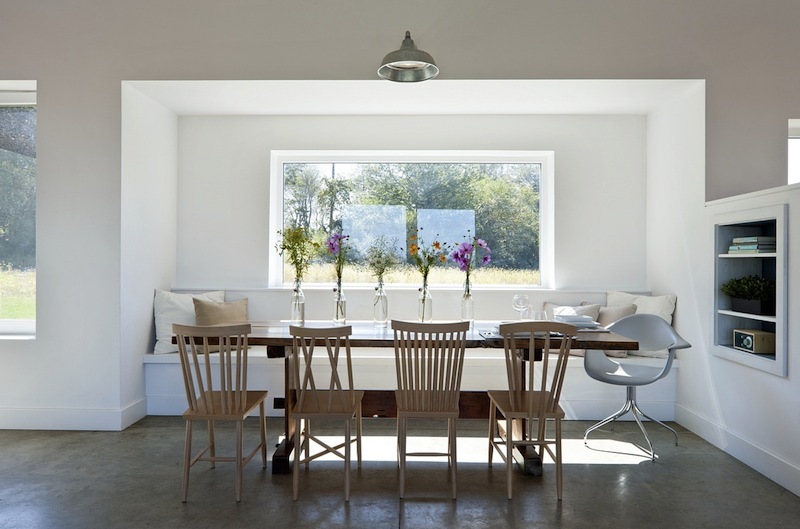 [+] More about the Passive House Retreat from ZeroEnergy Design. Update 10/25/12 – this has been updated to correct the source of certain quotes. Credits: Greg Premru Photography (#1, 3-4); ZeroEnergy Design (#2). can someone explain to me why passivehuases have so few windows? From what I see this home has a lot of windows. What they reduce is east west and north facing to controll heat gain/loss. First orientation for southside winter gain then daylighting finish with views. you can have it all depending on if you live in a heat or cooling climate. It’s all done by first making your energy saving decisons then adding asethics second.